Just six days and 35k away! In the words of monthly donor Nicole Myles, “Worlds don’t change from just one moment or movement.” Instead, as donor Harper Jean Tobin puts it, “we need many voices and many kinds of work.” As grassroots funders, we don’t give grants only to those who fit narrow ideas of success or worth. We want to fund as many groups as possible, so that all of these brilliant visions and voices have a chance to keep on growing, changing, and connecting. Your donation helps support trans justice groups focusing on local needs—groups that many mainstream foundations consider “too small” of an investment. Your donation helps support grassroots organizations that take risks—that try radical new tactics, that find ways to work outside pre-existing systems to support marginalized communities. Your donation reaches grantees with no strings attachedY–allowing these brilliant leaders and activists to do their work without worrying about anyone’s approval but the communities they serve. As our six Community Grantmaking Fellows carefully review the 216 applications we received this year–more applications than we’ve ever received before!–we see creative, dynamic responses to anti-trans threats. 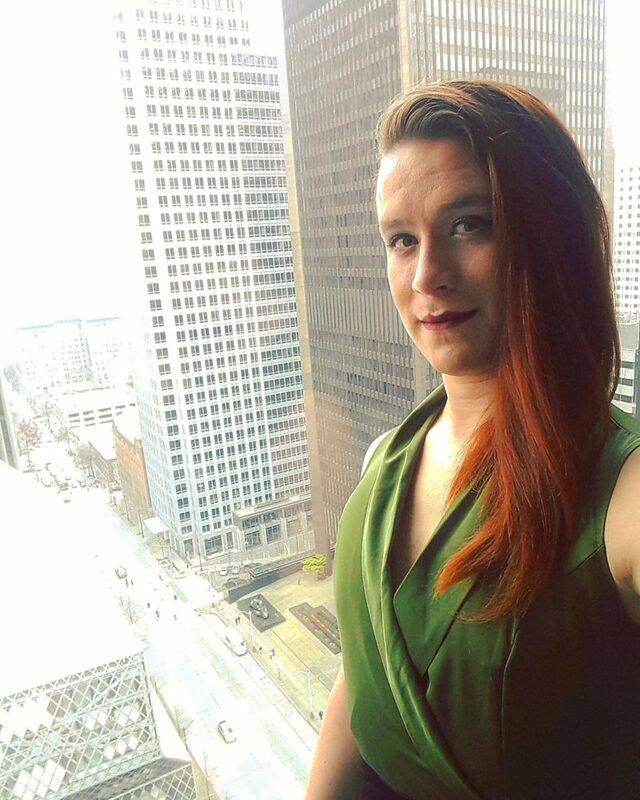 We see groups responding to local, unique needs, led by trans people from those communities who understand the stakes best. These folks need your support! Wherever you are, however much you give, you’ll be supporting the trans leadership that has always existed and shaped our movements! Comments Off on Just six days and 35k away! Introducing 2018 TJFP Community Grantmaking Fellow, Isabel Sousa-Rodriguez! Thank you Isabel Sousa-Rodriguez for saying “Yes!” to joining TJFP’s 2018 grantmaking team! Isabel was born in Bogota, Colombia and moved to Miami with their family at the age of 6. They began community organizing against deportations and for immigration reform in 2007 and have since become the Membership and Organizing Director and the Florida Immigrant Coalition. Isabel has a Bachelor’s in Sociology from the University of South Florida and as a graduate student at the City University of New York, they published academic articles detailing the effects of legal status and marginalization on undocumented mothers and on immigrant adolescents in the transition to adulthood. From 2015 through 2016, they were the state coordinator of New York’s Mexican Initiative on Deferred Action. They also serve on the Board of Unite for a Fair Economy. We are so excited to be able to share space and learn from you Isabel! Comments Off on Introducing 2018 TJFP Community Grantmaking Fellow, Isabel Sousa-Rodriguez! Introducing 2018 TJFP Community Grantmaking Fellow, Bré Anne Campbell! TJFP is so excited to introduce the first of our six grantmaking fellows, Bré Anne Campbell! Bré is a black woman of trans experience from Detroit, Michigan. She is the co-director of Trans Sistas of Color Project- Detroit, the first trans lead organization in Michigan dedicated to uplifting and impacting the lives of trans women of color living in the state. Bré is also very active in national HIV work, serving on the board of the Positive Women’s Network-USA and onto national advisory board of Positively Trans. 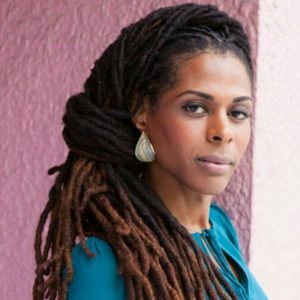 She can be seen in the upcoming web series The Femme Queen Chronicles, a series written and produced by black trans women. Looking forward to your brilliance! Comments Off on Introducing 2018 TJFP Community Grantmaking Fellow, Bré Anne Campbell! 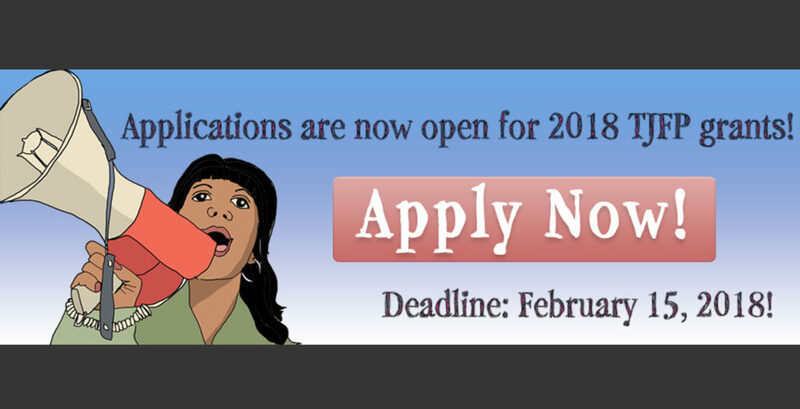 Applications now open for 2018 grants! In 2017, TJFP gave half a million dollars to 153 trans-led grassroots groups across the country, and we hope to give another half a million away in 2018. 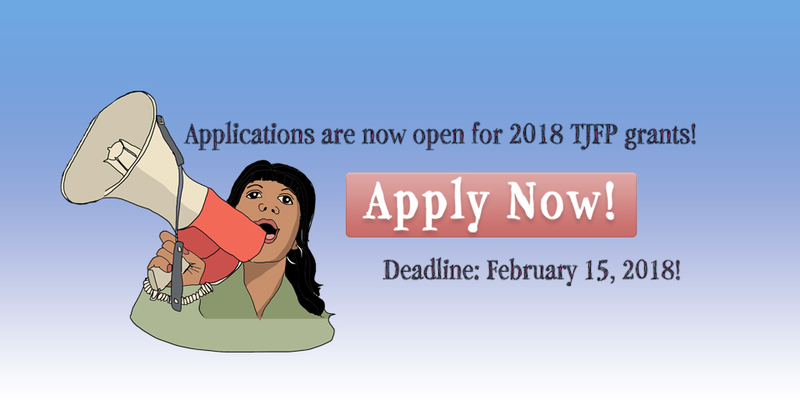 Applications are now open for 2018 TJFP grants! Please review the eligibility criteria and apply! Share widely and get your application in! The application is currently available in English and Spanish, but please email us at admin@transjusticefundingproject.org by January 15th if you need a translated version in another language of the application. We aim to make this process as accessible as possible, so please let us know about any other needs you have and we will do our best to meet them. While you’re at it, check out our 2016 annual report so that you can see some of the groups that we funded last year. And if you can, help us continue to make this work happen by donating. From $1 to $50,000, there truly is no donation too big or too small. Every penny goes directly to these grassroots groups, without strings attached. 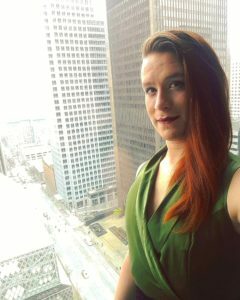 Please join TJFP in continuing to support grassroots trans leadership! Comments Off on Applications now open for 2018 grants!